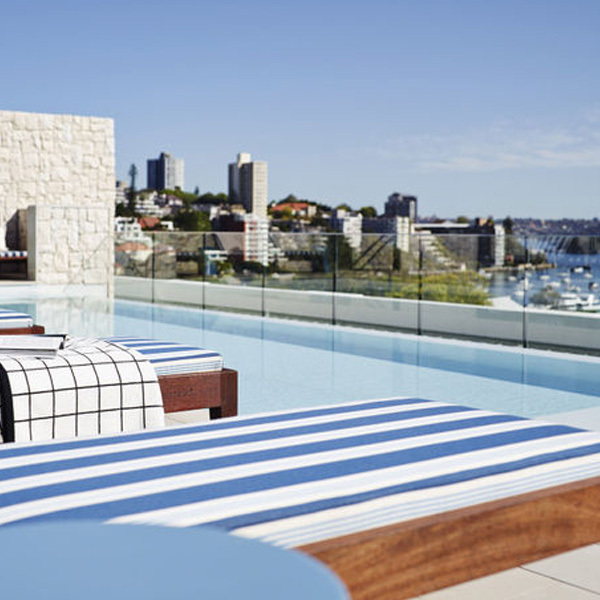 There is so much more to this 5 star hotel in the luxury eastern suburb of Double Bay than just its stunning rooftop pool and bar, complete with sweeping views over Sydney Harbour. The stylish and decadent rooms offer optimum comfort and your own private balcony. The hotel bar, with background music provided by the in-house pianist, provides a sophisticated setting to enjoy a delicious cocktail or glass of bubbly after dinner. The breakfast buffet and menu is my personal recommendation for one of the best hotel breakfasts in Australia, and right on your doorstep you will be spoiled for choice with beautiful bars, cafes, restaurants and high-end shopping around Double Bay’s village centre. Bloggers, influencers and foodies alike flock to the Celsius Coffee Co. for those all important breakfast insta snaps. With a gorgeous menu featuring treats like waffles with berries, maple syrup, toasted nuts and peanut butter cream (dressed in edible flours and a sprinkling of icing sugar for good measure), this simple and rustic cafe is small and intimate – so be prepared to wait for a table! One stop on the ferry from Circular Quay, the cafe is right in front of you as you disembark. Perched on wooden pylons, the azure harbour waters are literally underneath you, providing panoramic water views to enjoy whilst sipping your morning latte. Open til 2pm Mondays to Fridays, and til 2.30pm Saturdays and Sundays. 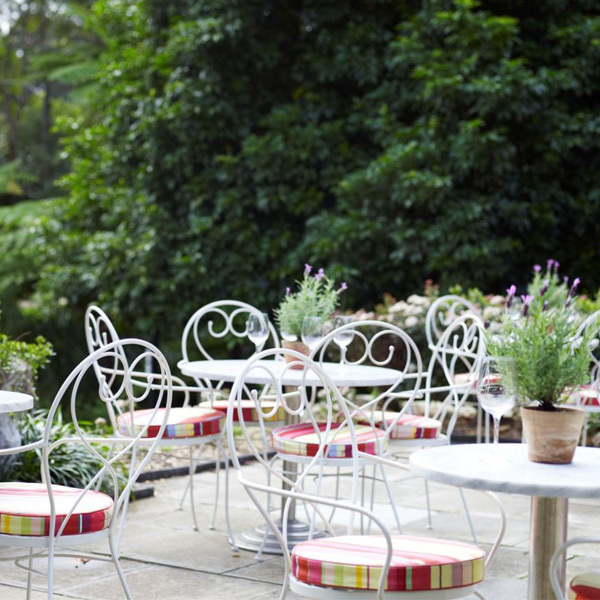 Spending a lazy afternoon enjoying high tea and champagne on the terrace, you might think you’ve been transported to an English country estate by your manicured green surroundings. There are a few noticeable differences though. The period style of Vaucluse House is synonymous with Sydney’s historic architectural style. And the weather of course. Sydney’s famous blue skies combined with the fresh salty air of both the ocean and harbour being in close proximity to Vaucluse House, only adds to it’s picturesque charm. Call ahead to reserve a table for High Tea, and don’t forget to ask for the French Upgrade to enjoy a cheeky glass of Moet & Chandon with your buttermilk scones! 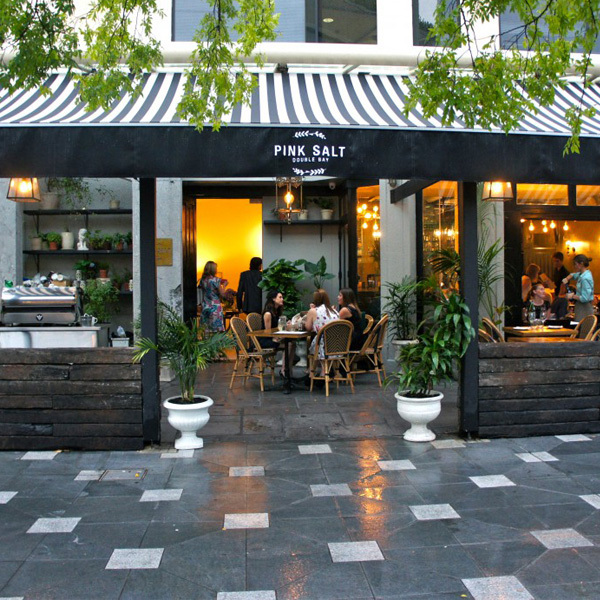 Next door to the InterContinental Sydney Double Bay, also featured in this guide to Sydney, Pink Salt provides stylish casual dining in one of Sydney’s most prestigious suburbs. 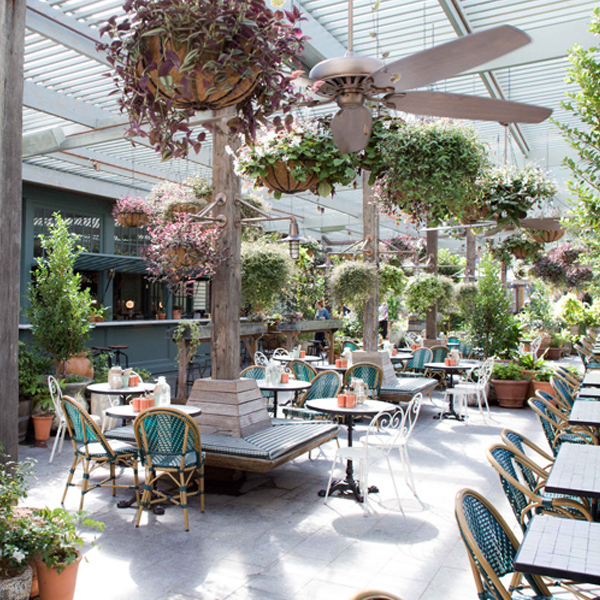 The bar and restaurant provides the illusion of year round al-fresco dining in the plant-filled conservatory at the front of the restaurant, bringing the outdoors in. The menu features modern Mediterranean share plates, charcuterie and hearty meat dishes fresh from the restaurant’s very own farm. The menu changes seasonally to keep it’s diners coming back for me, and the very attentive staff will make you feel right at home, plying you with bottles of wine on ice and friendly small talk. The Grounds of Alexandria has quickly become an institution after opening in the industrial suburb of Alexandria back in 2012. The “mega-cafe” features a (ridiculously) popular cafe, artisan bakery, al-fresco gardens with pop-up eateries and stalls, an ATM inside an old British red phone booth, beautiful florists and a large bar & restaurant known as The Potting Shed. The rustic restaurant decor and on-point tableware transports diners into a secret garden greenhouse somewhere in the country-side. You’ll be greeted by the resident parrot and, after-dark, a wheelbarrow fire-pit is lit for guests in front of the fairy-lit venue. The Grounds is also home to a family of adorable farm animals, including the celebrity pig, Kevin Bacon. 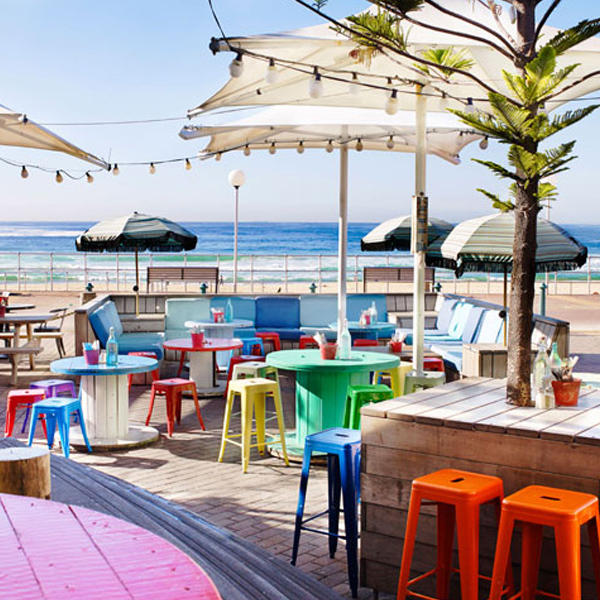 As close as you can legally get to the legendary Bondi Beach with a corona and lime in hand, The Bucket List describes itself as a vibrant, colourful joint with an outdoor beachfront setting, and they’re not wrong. 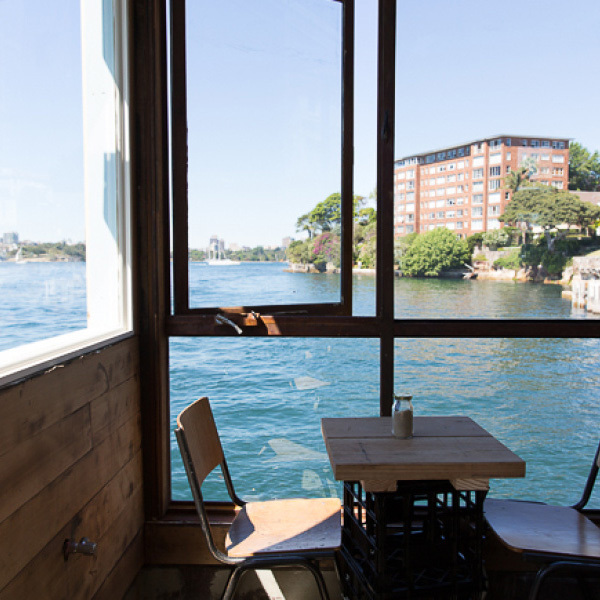 Serving top notch pub grub, buckets of coronas on ice, and refreshing summer cocktails, this bar is the epitome of a Sydney Sunday session in the sun. If you’re unlucky enough to visit on a rainy day though, have no fear. The Fish Bowl bar provides panoramic ocean and beach views from the dry indoors, or you can get really cosy and warm in the The Fireplace lounge area. There’s also an a private all-weather garden terrace for private parties. Whether you’re looking for a top spot for breakfast with good coffee, or a nice luncheon with a tasty glass of vino, the Poolside Cafe at the Andrew (Boy) Charlton Pool has got you covered. Floor to ceiling glass windows, and an open-air terrace, allow for spectacular views over Sydney Harbour, Woolloomoolloo Wharf, and the Pool below. After breakfast, sunbake by the pool, or stroll to the other side of the road and enjoy spectacular views of the Opera House & Harbour Bridge from Fleet Steps, before meandering back to the City through the Royal Botanical Gardens. Trendy Darlinghurst is home to many cozy niche bars. Like Shady’s, man of them are hidden from plain sight, so make sure you ask for directions to find this place! You’ll know you’re there by the large line of people queuing at an unassuming door in a back alley off Crown Street. Inside you’re transported to another place in-time and find yourself in a very upmarket take on Cowboy country. From the taxidermy and memorabilia lining the walls shells scattered all over the place from the complimentary bowls of peanuts, to the country & western playlist, this place has planned out every minor detail of your experience. Tuck into a freshly squeezed fruit cocktail and settle in for the evening! In the heart of the City lies one of many Merivale venues, ivy, a multiplex of bars, dance floors, and places to dine to suit all tastes. Head to the rooftop Pool Club day or night to sip cocktails in one of the private cabanas, or lay back on one of the sun loungers, and munch on a gourmet pizza fresh from the kitchen. Poolside DJ’s and the Palm Springs style decor will make you forget you’re in the middle of the City, though be warned; this place gets very busy at night (expect to queue for the elevator to get to the Pool Club), and there is usually a cover charge to get into the complex. Worth a visit though! The Winery has always been a firm favourite on the Surry Hills circuit with it’s great choice of beverages and beautiful al fresco dining. Recently, the upstairs was converted into the Champagne Room, and what’s not to love about that!? Tastefully decorated, offering small or large booths with their own ‘Press for Champagne’ bells, you can indulge in an assortment of Champagnes (of various price-tags!) or opt for one of many champagne cocktails on the menu. Simply enjoy the champers with conversation, over a cheese board sharing plate, or with a full-on meal, this place is my new favourite. Bookings essential!